Are Subliminal Messages in Music Dangerous? We have all heard of subliminal messaging. It might be in relation to heavy metal bands. It could be after watching a film with a twist, like Fight Club. You might even have heard about it as a novel way to stop smoking or lose weight. You may have heard good things about it. You have probably also heard some of the sillier myths about it. Over the years, subliminal messages in music has gained quite a reputation. So, it’s time to sort the truth from the legend. It is time to uncover the true value of subliminal messages in music. This in depth article will explain exactly what subliminal messages are. It also will show you how they are used by hypnotherapists. It will outline their benefits and describe the ways in which they could improve your life. Finally, it will explain how you can utilize subliminal messages in music in your own home. To understand subliminal messages, we first need to know what the term means. 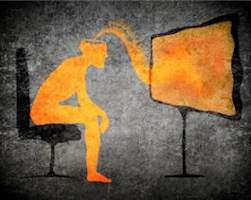 A subliminal message is a piece of information designed to bypass the conscious mind. So, it is different from just being told to do something. If given a direct instruction, it is analyzed by the conscious mind. Therefore, we might choose not to follow it, or in many cases, do the opposite! There are a million reasons why we might not want to obey. For example, complicated instructions like ‘Stop smoking’ are subject to many variables. You might want to obey for the sake of your health. But, you also want to keep smoking, because it gives your pleasure. The power of subliminals lies with the fact that they can reach a deeper part of the brain, the subconscious, also known as the unconscious. They speak to the part of the mind which is obedient and follows instructions. This was demonstrated by Palmatier and Bornstein (1980), who exposed smokers to subliminal messages while they were trying to quit. After three weeks, those listening to subliminal audios had a much lower rate of relapse than those who were were not. The researchers later conducted a follow up study. They found similar results, even after a longer period of time. This idea can sound a little scary at first. It has certainly been used to build up a myth around subliminal messages in music. There are scores of examples of heavy metal bands using subliminals to ‘corrupt’ listeners. Fortunately, there is no real truth to the stories. Like hypnosis, subliminal audio cannot be used to change your personality. It cannot make you do things which you would not do otherwise. Subliminal messages are very effective. They are regularly used to treat habit disorders and phobias. This is because habit disorders are often out of reach of the conscious mind. Again, another good example is chronic overeating. You might be desperate to lose weight, but struggle to stop eating. Your brain is hardwired to crave pleasure from food. With subliminal messages in music, the messages can reach the subconscious mind. They take the form of ‘hidden’ instructions or information. So, you are not consciously processing them. You do not know exactly when and how the information is being given to you. You do not focus on listening to the suggestions, you focus your conscious attention on the music. You listen to this music as you would any other CD or MP3. The difference is that you are also subconsciously processing these hidden messages. They might say ‘Eat less.’ They could say ‘You can live without smoking.’ Or, they might even say ‘You are a confident and capable individual.’ A lot of people choose to use subliminal audios while they sleep. Unfortunately, when you are asleep, you are unconscious. When you are unconscious, you can’t hear anything. If you can’t hear the suggestions, they can’t help you. It is common for subliminal audio to be used as an adjunct to more targeted hypnosis techniques. The two methods share a common foundation. They both bypass the conscious mind. They cancel out personal bias, anxieties, phobias, worries, and ingrained habits. These are all of the things which can stop us from following suggestions which might be good for us. Subliminal hypnosis tends to rely on ‘Threshold Subliminals,’ rather than ‘Silent Subliminal’ audio, which is entirely concealed. With Threshold Subliminals, the subliminal messages in music are actually detectable if you listen very closely. This technique is effective as long as your conscious mind is distracted with the primary audio – the music. A natural example of this is if you were sitting at a bus stop next to two people talking about the plot of a movie. It’s quite noisy at the bus stop, because it is situated on a main road. You are not listening to the strangers talk. In fact, you are not aware that you are hearing them at all. You are focused on watching for the bus. However, a few months later a friend asks you if you have seen the same film and you are unsure. You don’t remember watching it, but you know what happens in the movie. This is a good example of how subliminal messages can occur even in natural everyday situations. They are not completely restricted to behavioral therapy and hypnosis sessions. So, there is a big difference between the well known notions of ‘Silent Subliminal’ messaging, and the type of subliminals which hypnotherapists use. For many hypnosis experts, threshold subliminals are much more effective. The distinction continues to be hotly debated, but most experts now agree that it is far more effective for subliminal messages in music to only be partially concealed. If you are interested in experimenting with subliminal messages in music, it is best to opt for Threshold Subliminals. There is a lot more research supporting its impact on habit disorders. For people who want to build confidence, stop smoking, lose weight, or conquer phobias, threshold audios are the way to go. It is important to understand that subliminal messages in music stimulate automatic actions. You might find yourself asking ‘Do subliminal messages work?’ The answer should be clear in how you can see your behavior changing. You should not have to put a lot of mental effort into reversing bad habits. In fact, after subliminal hypnosis, the change should happen effortlessly. In 1986, Kaser carried out a study which proved that the subconscious mind can pick up on threshold subliminals. He asked a group of volunteers to listen to a subliminal recording. Then, they were asked to draw pictures. The subjects who were exposed to the subliminals drew images relating to the suggestions. Those who were not exposed did not. A similar test was carried out by Becker, in 1988, but he inserted numerical suggestions instead of visual symbols. The same results were discovered. One of the greatest advantages of subliminal messages in music are their convenience. To find out for yourself how well subliminal messages work, you just need to pick up a high quality CD or MP3 recording. There are lots of different versions available online. Just pick a track, genre, or song which appeals to you. It is important that you enjoy the actual music. For the subliminals to be picked up quickly, you need to enjoy listening to them. This means that an otherwise quiet space is best. 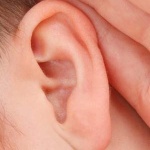 You do not want to be listening to the audio in a room filled with lots of other noises. This will make it difficult to get absorbed into the music. You will start thinking about your dinner or how much housework needs to be done. If possible, keep children and pets out of sight while you listen to your CD or MP3. You do not have to be still though. You can get up and dance if you like. In fact, this is a great way to distract the conscious mind while listening. Try to keep your thoughts away from the nature of the recording. The most receptive mind is a relaxed and open one. While it is possible to make your own subliminals, professional recordings are advised. They have been carefully constructed for maximum impact. The volume of the music has been carefully controlled to create the ideal level of concealment. The good news is that these recordings are usually very affordable. You can listen to the subliminal audios as many times as you like. You can use them in any environment. You might listen to them at work. You could put them on in the car. The possibilities really are endless if you buy high quality recordings. The impact of subliminal messages in music is fairly rapid. However, it is not instant. You do need to be patient when starting out with a program. It will take time and repeat listening sessions for the subtle suggestions to stick in your unconscious mind. As described, the more relaxed your mind, the simpler it will be. Pretty soon, giving subliminal messages a chance will be the best decision you ever made. Threshold Subliminals are very different: They soothe and entertain you with beautiful music, as they inject positive suggestions into the subconscious mind. We even offer Subliminals that use music that you can dance to! We offer over 100 titles. 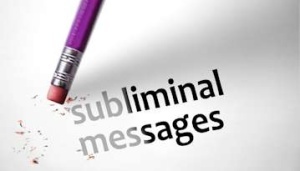 Check out Threshold Subliminals here! This entry was posted in Subliminal Persuasion. Bookmark the permalink.